With the fall season approaching quickly, it won’t be long before your AC gives way to your furnace. While it’s easy to believe you can simply turn your AC off before the cold weather hits, there’s more to it than that. If you don’t take the right steps this fall, you could run into difficulties with your system next spring/summer. Cover the outdoor unit. By doing this, you protect it from the elements, such as snow, sleet, and animals looking for shelter as the weather turns. Turn off the outdoor breaker switch. This simple step goes a long way in ensuring that your AC is not accidentally turned on during the cooler months. Just remember to turn it back on when the warm weather arrives in the spring. Contact a professional. You can do many things to shut down your AC for the season, but unless you’re a pro it’s possible you’ll forget something of importance. With professional help, you never have to concern yourself with this. Don’t wait too long to contact us to discuss the best way to shut down your AC before cooler weather arrives. We can visit your home, do all the hard work for you, and answer any questions you have. Your air conditioner works hard during the hot summer months. With this in mind, it’s not out of the question for your unit to run for a good portion of the day. However, if you come to find that your air conditioner won’t turn off, you need to pinpoint the problem and make an immediate repair. Check the thermostat: maybe you reset it by mistake. Or maybe you have it set so your AC runs continuously. By setting the thermostat above room temperature, this is a signal for your AC to turn off. If it doesn’t, you need to continue your search to find out why. Clean the condensing unit. It’s possible that dirty condenser coils are unable to disperse the heat, thus forcing your AC to run continuously. It may be hard to believe, but a professional cleaning can go a long way in solving your problem. Change your furnace filter. With a dirty furnace filter it’s more difficult for cool air to make its way into your home. Subsequently, cooling it in an efficient manner is extremely difficult. This is a quick change that can go a long way in helping your AC run at peak performance. If your AC won’t turn off and you have no clue as to what’s going on, don’t hesitate to contact us. We’re more than happy to visit your property, diagnose the problem, and help bring the cool air back into your home! Are you planning a summer vacation? Are you ready to hit the road and enjoy your time away from home? While there’s nothing more exciting than taking a trip, you need to prepare your home accordingly. During the summer months, this means making a few changes in regards to your AC and other means of keeping your home cool. Raise the thermostat to 80 degrees (or higher). With this approach, your home will use less energy while you’re away. Subsequently, your cooling bill won’t be nearly as high. Close the shades. You’re searching for ways to keep the sun out, as this means your AC doesn’t have to work as hard. One of the best options is to close the shades and blinds. You don’t need natural light when you’re not at home to enjoy it. Use a smart thermostat. With this, you can monitor the temperature in your home and make changes accordingly. Also, you can program your thermostat to cool your home down in the hours leading up to your arrival. You’ll have many things on your mind as you prepare your home before leaving for vacation. While you may have some concerns about keeping it cool and saving money on cooling costs, these tips will go a long way in helping you out. Have a great time on your trip! There will be times this summer when you have no choice but to turn on your air conditioner and let it do its job. However, there are also situations in which you may be able to turn off (or turn down) your AC as a means of saving some money. Open your windows. By doing this, you’re letting fresh air in from the outside. Furthermore, it’s a great way to get a little breeze, which is sure to cool you off. Use ceiling fans. It doesn’t matter if you run one ceiling fan or several, this is a great way to circulate the air and cool down your home. Move to the lowest part of your home. As you know, heat rises. For this reason, the upstairs of your home is likely to be the hottest during the summer months. If you want to cool off move to the lowest part of your home, such as the basement. It’s easy to believe that using your whole-house AC is the only way to cool your home, but there are other options to consider. There’s nothing wrong with using your AC as intended, but relying on one or more of the options above will help to keep you cool as well. Are you the type of person who uses your air conditioner day in and day out during the hot summer months? If so, you’re not alone. While there’s nothing wrong with this, it’s important to remember that AC use will have an impact on your electric bill. When you go to work. If you won’t be home, it makes good sense to turn up your thermostat a degree or two. This won’t have any impact on you – since you’re at work – but it will definitely save you some money. When you go to sleep. Yes, you want to be cool during the nighttime hours, however, you don’t have to crank your AC for this to happen. Here’s why: since temperatures are lower at night, you can probably get away with raising your thermostat. When temperatures dip. There will be times when it’s so hot that you have no choice but to run your AC continually. There will also be times when temperatures dip, allowing you to turn up your thermostat and save some money. With these tips you can remain comfortable in the months to come, all without sacrificing your budget. It’s not as hard as you think! Why is Your AC Blowing Warm Air? Now that warmer weather has moved into the area, it goes without saying that you’ll be relying on your AC quite a bit. After all, there’s no better feeling than a cool home on a hot spring or summer day. But what will you do if you come to find that your AC is blowing warm air? Will you know the problem and how to solve it? Check your thermostat. Is it malfunctioning? Do you have the fan set to auto instead of on? Is it disconnected or out of batteries? Change your air filter. Did you know that an old air filter can cause your condenser to freeze up, thus making it unable to provide your home with cool air? Now’s the time to check your filter. Low refrigerant. Over time, it’s possible that your AC could begin to lose refrigerant. There are many reasons for this, including a slow leak. Fortunately, a charge from a professional may be all it needs to once again efficiently cool your home. If you come to find that your AC is blowing warm air you shouldn’t wait a single day to find out why. By contacting us, you can be rest assured that your problem will be solved in a timely manner, thus allowing you to put this trouble in the past. Are you looking forward to warm weather this spring and summer? Are you also concerned that your cooling costs could quickly grow out of control? Call in a professional for an AC tune-up. If your AC unit isn’t running at peak efficiency, you’re throwing money out the window day after day. 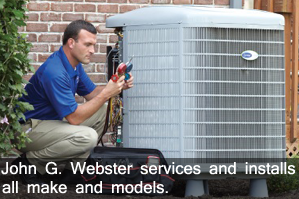 A professional can tune-up your system to ensure that it’s running as smoothly as possible. Don’t run your AC all day long. For example, raise the temperature a degree or two when you leave your home for work. This simple change can go a long way in saving you a lot of money. Use ceiling fans and windows to your advantage. You don’t always need to run your AC, especially when you can get away with using fans and windows to cool your home. These are not the only ways to save on cooling costs this summer, but implementing even one of these tips is sure to put some extra money in your pocket. It may be a change at first, but once you get on the right track you’ll come to see just how simple it can be to save. Are you ready to make some changes that will benefit your bank account? With the warmer spring and summer months on the horizon, now’s the time to make sure your AC is ready to cool your home. If you neglect to do so now, you could be in for a big surprise the first time you attempt to use your unit (and that’s not something you want). While some homeowners are comfortable taking on these tasks, others realize that they require the assistance of a professional. If this sounds familiar, don’t hesitate to contact us to discuss our many AC maintenance services. Once we visit your home, you’ll feel confident that your air conditioner is in good condition and ready to provide you with a cool climate all summer long. Can you imagine living in your home without air conditioning? While this may not be a big deal some days, as the temperature climbs it’s something that will go a long way in making you more comfortable. Call an HVAC professional for a tune-up. From an inspection to a cleaning, a professional knows how to keep your unit running at its peak. Close your windows. It goes without saying that you should keep your windows and doors closed when running your AC. Replace your filter. During the summer months, your filter will become clogged with dust and allergens. This makes your AC work harder. It may be time for a change. Adjust your thermostat. The higher your thermostat setting the less your AC will run. As a result, your electric bill will not be nearly as high. Turn it up when you’re away. Do you really need to cool your home when you’re away? Probably not. With this in mind, turn up your thermostat if you’ll be away for an extended period of time. So, there you have it. These simple tips can help improve the efficiency of your air conditioning unit. What are you waiting for? When was the last time you inspected your home’s air conditioner? If you don’t know the answer, there is no better time than now to take on this task. Replace your air conditioner air filter. This is a relatively cheap and simple task that will keep your HVAC unit working at peak performance. Inspect all wiring. Tip: make sure the power to the unit is turned off before doing this. Inspect the thermostat. Is your thermostat working properly? Is it failing to keep your home at the right temperature? If you have an older thermostat, such as one that is mechanical, it may be time for a change. Clean the outside unit. Many people neglect to keep their outside unit clean. Instead, they don’t think twice about the weeds and shrubs (and other debris) that have overtaken their unit. The spring season is the best time to take on this task. As you can see, there are some simple steps you can take to maintain your air conditioner. If you’re unsure of what you’re doing, if you require any assistance, don’t hesitate to contact us. We’re more than happy to visit your home, inspect all aspects of your air conditioner, and ensure that it’s ready for the warm spring and summer months.